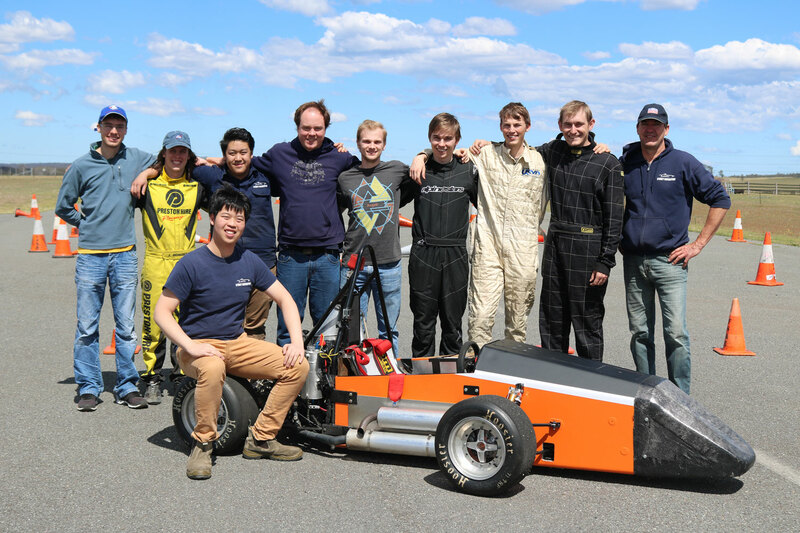 Student teams from more than 30 universities around the world have arrived at the Winton Motor Raceway in country Victoria to race self-designed and self-built automobiles. The Formula SAE-A competition challenges young engineers to dream up their own formula-style race cars and pits them against one another in a four-day contest. It is hosted by the Society of Automotive Engineers Australia, which was founded in Melbourne in 1927. The event grades not just the performance of the vehicles on the track, but also performs safety tests on the designs and grades the teams’ business plans. 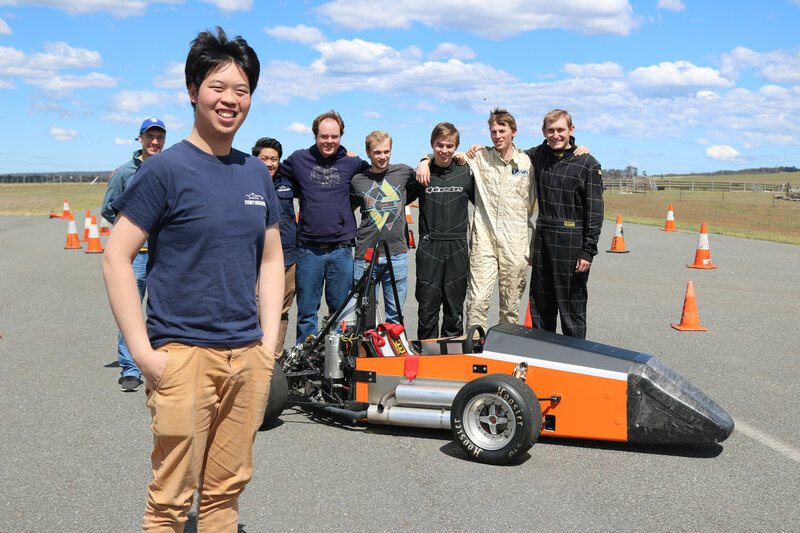 “The premise of the competition is we’re a hypothetical company,” Stephen Zi Yang Huang, the Chief Engineer of the University of Sydney’s Sydney Motorsport team, told create. That includes accounting for the real-world costs of the parts comprising their prototype model as well as their ability to attract hypothetical investors. “We also have to present a business case — kind of like a startup pitch — to the judges saying why should you hypothetically invest $5 million, $10 million in my company,” Huang said. The University of Sydney team is competing against other teams from Australia, as well as Germany, India, Japan, New Zealand and Saudi Arabia. The event began Thursday, with the first two days devoted to judging the vehicle designs, going over cost reports, and conducting safety tests. 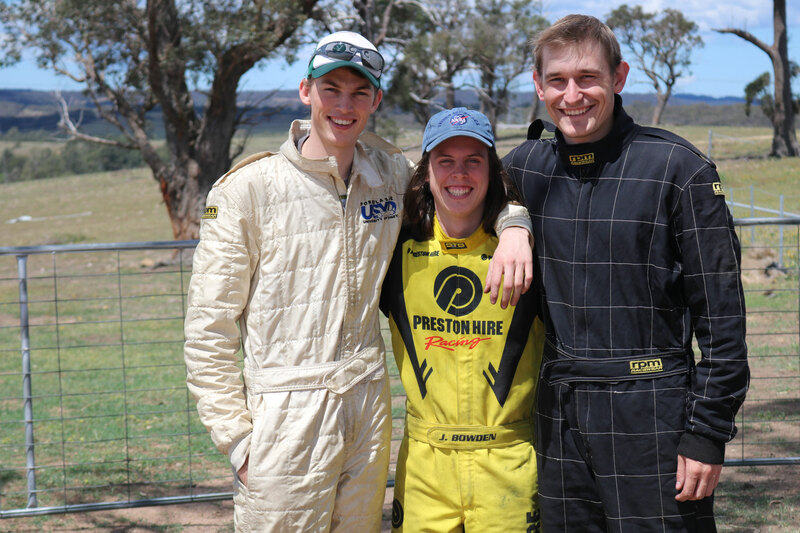 The last of these is important because the teams provide their own drivers, and the Sydney Motorsport vehicle has hit 110 km/h in its trials. When create spoke to Jackson Bowden, one of the drivers for the University of Sydney, he was preparing to demonstrate it was possible to quickly escape his team’s vehicle in an emergency. “We’ve passed all of our basic scrutineering checks, making sure everything’s compliant,” Bowden said. Teams competing in the event tend not to design a car from scratch each year, Bowden said. Instead, they build on previous years’ designs, looking to make up for flaws or deficiencies they previously encountered. The team has worked for more than a year on its current design. “The main thing that we don’t have this year is an aero package and that’s cause we’ve been lacking in the aero department,” he said. An aero package would create a smoother, more aerodynamic under side for the car to improve the flow of air around the vehicle. In terms of this year’s innovations. Huang said the team has worked to cut down on the vehicle’s weight. “One thing that our team has recently done is convert from a traditional steel space frame chassis and gone into what we call an aluminium honeycomb chassis,” he said. Bowden said he’s feeling confident about their chances this year. Huang’s outlook is conservative, but he is hopeful. “I don’t want to jinx it, but I’ve got a good feeling with the car,” he said. But he is also looking beyond the current race to his future career, which he hopes might include motorsport. “The skills that I’ve learnt here are applicable to any engineering career,” Huang said. Mining industry automation: "Let the robots take our dangerous and dirty jobs"